Metro used a risk-based multi-factor methodology to score and rank its 10 year capital needs. 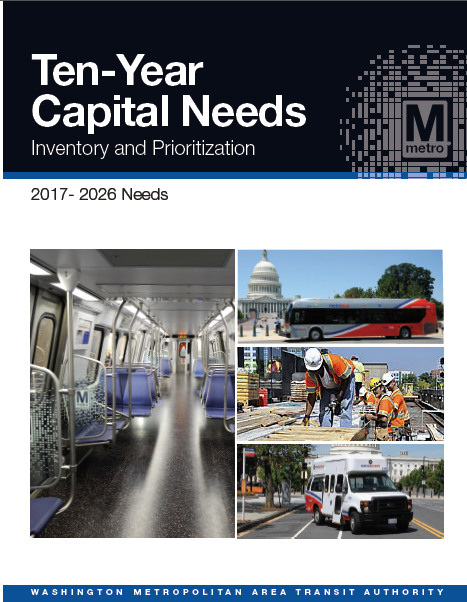 Metro’s 2016 Capital Needs Inventory (CNI) aims to capture and quantify Metro’s existing and anticipated capital needs over the next ten years. With our needs far outpacing available funding, prioritization of capital needs is critical. But with the ever present constraints of budget, time, and staffing, how do we determine how to prioritize our new and existing needs across a 10 year period? Metro used a risk based approach to develop its 10 year capital needs prioritization. Each criterion is defined based on the impact of an investment to improve an asset’s condition, to thereby improve Metro’s state of good repair or to mitigate asset related risks. The risk-based prioritization approach is illustrated above. This approach considers both the likelihood of asset failure and consequence of asset failure. The scoring uses weighted criteria, to represent either the likelihood or consequence of asset failure. For instance, the scoring helps us to decide if it is more urgent to replace one kind of asset over another in any given year, given agency priorities and finite resources. A safety focused weighting scenario, based on the extent that an asset’s failure would affect overall system and rider safety was developed to reflect Metro’s core mission and values. It was also important that Metro’s weighting criteria be aligned with its larger strategic goals. The image below demonstrates how Metro’s strategic goals were aligned with CNI scoring weights. Once Metro’s 10 year capital needs were identified and compiled, they went through several rounds of prioritization testing based on the risk-based approach and generated prioritization scores for individual assets in the asset inventory. 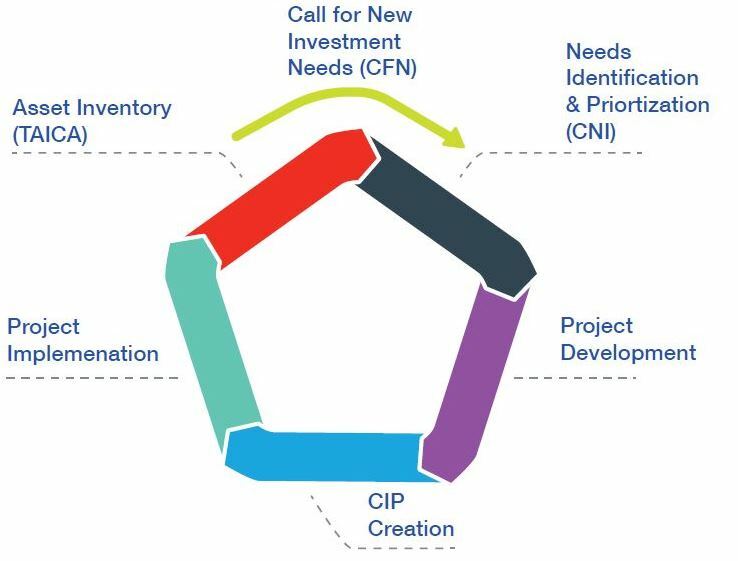 After the completion of CNI, the identified capital needs must be further verified and then converted into build-able projects through a design and engineering process, which will define actual capital projects with scopes, schedules, cost estimates, and delivery methods. 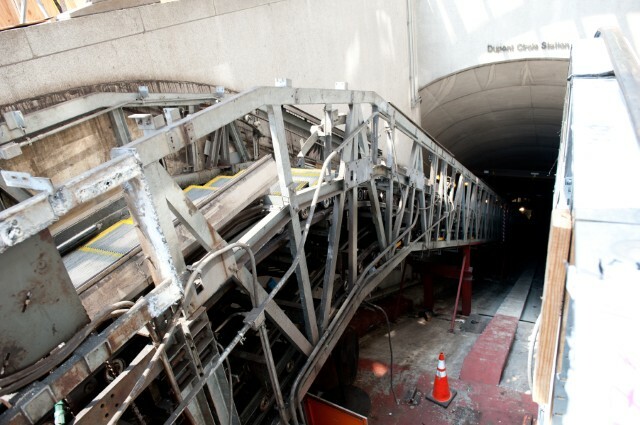 Metro needs to invest $17B over 10 years to achieve and maintain a State of Good Repair. In June 2016, we introduced the initiation of the 2016 Capital Needs Inventory (CNI), with the goal to develop a list of fiscally unconstrained and prioritized investment needs over the next ten years and to meet the new federal Transit Asset Management (TAM) requirements. After seven months of rigorous work, the first phase of the CNI is coming to a completion! It represents the first time that Metro developed a ground-up, data-driven and FTA-compliant method for asset prioritization. It consolidates asset data sources and builds a complete asset inventory database that catalogue higher-level assets and asset features. It estimates asset condition (and need rehab/replacement date) based on measurable data such as age of asset and history of rehabilitation, and projects replacement and rehabilitation needs to advance a State of Good Repair (SGR). It establishes a prioritization methodology aligned with Metro’s strategic goals and priorities and uses FTA’s TERM (Transit Economic Requirements Model) to prioritize all asset needs. Restoring Metro’s reliability and quality requires a comprehensive approach to asset management and reinvestment. Capital needs include escalator replacement, as pictured here. In April, Metro staff commenced the important work of updating its Capital Needs Inventory (CNI), a financially unconstrained prioritized plan of capital needs that documents Metro’s infrastructure, vehicle, facility, technology, and system capacity investment needs over an immediate to 10-year horizon, and provides input to the development of the six-year Capital Improvement Plan (CIP). This document, which itemizes and prioritizes the capital investment needs of the entire Authority over a ten-year period, not only informs our jurisdictional partners about funding needs, but is now also a component of the federally required Transit Asset Management Plans outlined in MAP-21. Importantly, Metro’s CNI effort is occurring at a critical time both for the Authority and within the transit industry. Concurrent with recent asset-related failures on Metro’s rail system, international standards for asset management (ISO 55000) and Federal Transit Administration (FTA) proposed rules have recently been published that can help guide the methodology and tools used to develop a best-in-class CNI. Have we done this before?